Madison, WI (April 25, 2016) – The window is open for Dane County nonprofits to propose new solutions that address our community’s toughest challenges. 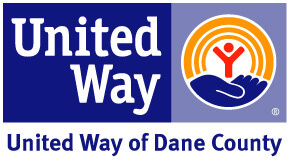 United Way of Dane County is accepting concept papers through Friday, May 6. These concept papers are the first step for nonprofits to secure investments through United Way. – Children are cared for and have fun as they become prepared for school. – Students succeed academically and graduate from high school, regardless of race. – More people are on pathways out of poverty. – There is a decrease in family homelessness. – People’s health issues are identified and treated early. – Seniors and people with disabilities are able to stay in their homes. If you have any questions, please contact Sandy Erickson, Community Impact Director at 608-246-4354 or email sandy.erickson@uwdc.org. Nonprofits will be notified during the week of June 6th if a full proposal will be accepted for consideration in July. Investment decisions for the 2017-2018 funding cycle will occur at the end of 2016.